The original article can be found HERE, it was written by Scott Merzbach for the Daily Hampshire Gazette on November 1, 2018. 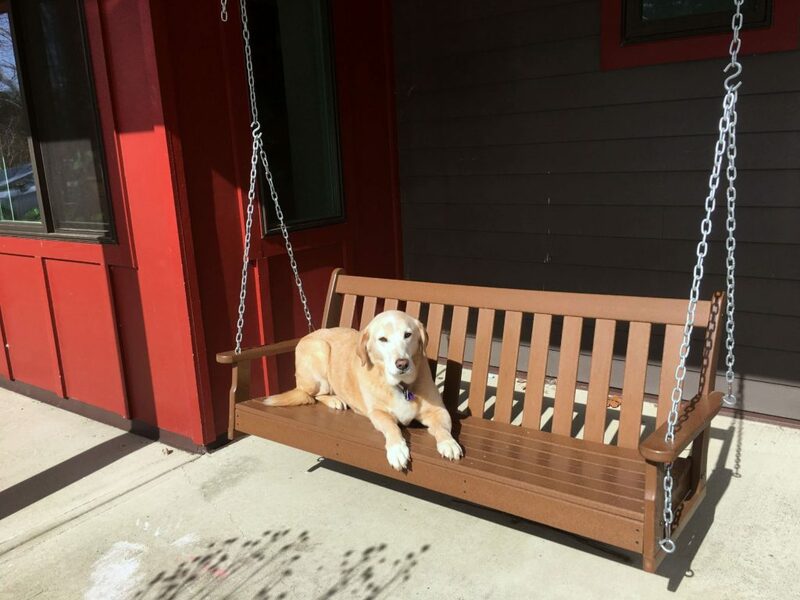 AMHERST — Patients and staff at an Amherst medical practice are mourning the loss of Ginger, a yellow Labrador retriever who, as a certified therapy dog, offered comfort and companionship for the past 13 years. Ginger, who was last at Dr. Kate Atkinson’s Atkinson Family Practice office Thursday, died over the weekend after a period of failing health. It was a choice they never regretted making. Atkinson brought Ginger to her practice and created the role of therapy dog for her after her last child went off to school and Ginger, not wanting to be home alone, begged to go to the workplace. Though initially only there two days a week, soon patients and staff suggested that she be at the office daily. Patients said they would be disappointed not to encounter her. Staff, too, had a friend in Ginger, who wandered throughout the two-story building seemingly on a mission to make people feel better, said Cheri Couture, who handles billing at the practice. Couture, working with Ginger on a daily basis for the past eight years, said she touched many lives and will miss having her come to her desk. “They called us the little dog pound here,” Couture said. Couture first met Ginger when she came for an initial interview. The dog quickly calmed her nerves, in much the same way she helped lower blood pressures, reassured nervous children and greeted upset patients. Nicole Smigiel, the functional medicine receptionist, said Ginger would often be in the waiting room and would stare at her through the window, just waiting for kisses and treats. “She always brought a lot of brightness to the day,” Smigiel said. Nancy Ackerman, phlebotomist for Baystate Reference Laboratories, said Ginger would calm down adults having their blood drawn. This week hasn’t been the same, she said. “It’s been quite lonely without her,” Ackerman said. She was also a presence each year at the Daffodil Fun Run to benefit Big Brothers Big Sisters of Hampshrie County. The practice’s Facebook page pays tribute to Ginger, with patients and staff leaving comments. Couture describes the empathy and unconditional love Ginger gave her. “Thank you for everything and I promise to smile every day when I think of you,” Couture wrote.